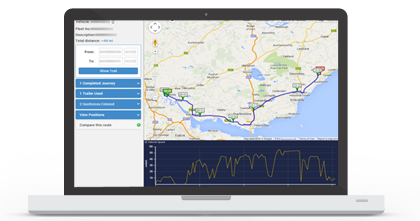 Falcon Tracking provides real-time vehicle positioning and vehicle analytics. View all your vehicle positions with real-time monitoring and feedback. Use Falcon to provide invaluable data on fuel usage and boost your efficiency. 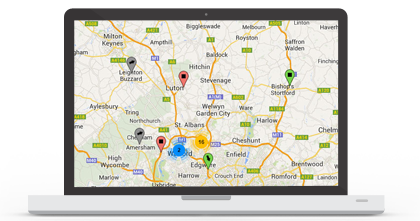 Track your entire fleet using existing GPS devices or new GPS devices from Falcon. See where your vehicles are right now, and see where they have been using the interactive vehicle trails. 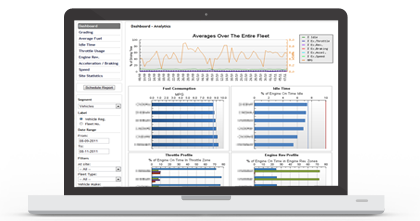 Get detailed information about the use of your fleet, and your drivers; such as fuel usage, idle time, throttle usage and speed. A grading system will give you a clear guide as to how vehicles and drivers are performing. 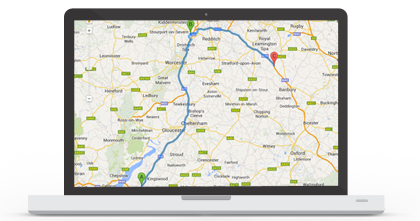 Find out how long it could take for any of your vehicles to reach a destination or check previous journeys for their quickest or shortest route. The Journey Compare utility compares similar routes to improve route planning. 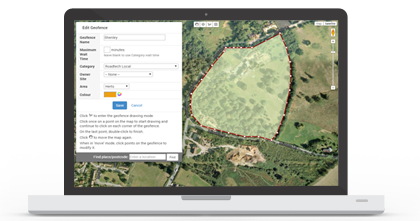 Set up your own geofences online, with custom colours and categories. Geofence reports will quickly show you any hits. Set attributes to geofences to be made aware of particular events, e.g. when a vehicle is due a service and has arrived at a service capable site. With Falcon you can see the exact speed your vehicle was doing at any point in a journey. It is easy to see any spikes in speed, or long stops and to find out where it happened. 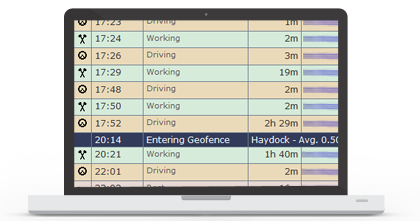 If you are a Tachomaster user you can benefit from extra features, including notification of geofence hits in the vehicle and driver day views and matching of events (drive, work, rest) with exact GPS positions.